This machine covers a small area, is operated conveniently, runs fast. It is equipped with automatic temperature-control and speed-regulation, automatic feeding. Several rolls or redundant rolls can be slit at one time, so this machine is regarded as a slitter. 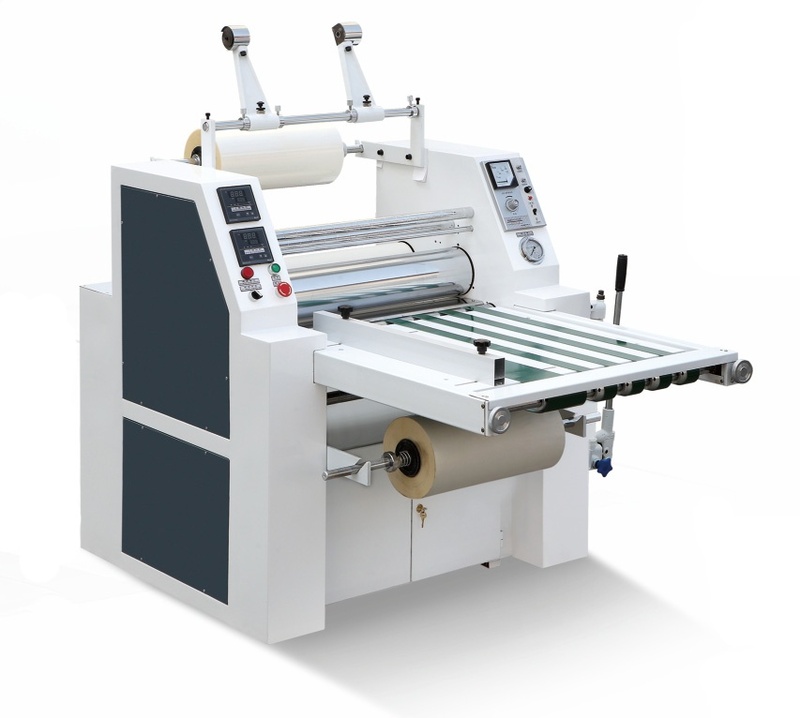 The machine adopts pre-coated film as the material to handle both one-side and two-side lamination. It is widely used for lamination on the surface of window packing paper boxes, various books, maps, pictures, certificates, holographic cellophane etc. After the above products are laminated, they have the features of water-resistance, clear graphic arts and strong three-dimensional sense.